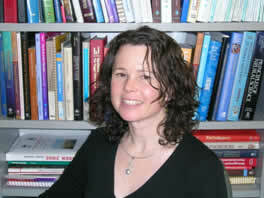 Linda McLean received her BSc in Physiotherapy from McGill University in 1990. In 1995, she received her MSc in Electrical Engineering from the University of New Brunswick, and in 1998 she received her doctorate from the same institution. She began her academic career as Assistant Professor in the School of Physiotherapy at Dalhousie University. In 2002 she moved to the School of Rehabilitation Therapy at Queen’s University in Kingston, where, in 2006, she became chair of the Graduate Program in Rehabilitation Science, and where she became full professor in 2012. In 2014 Dr. McLean joined the School of Rehabilitation Sciences at the University of Ottawa as full professor and continues to hold an adjunct professor appointment at Queen’s University. She is currently operating her research in both Kingston and Ottawa. Dr. McLean’s research program focusses on the study of biomechanical and neurophysiological mechanisms responsible for urinary incotninence, pelvic pain and functional deficits associated with pregnancy and delivery as well as the identification of factors associated with successful rehabilitation outcomes. Over the years, Dr. McLean has developed expertise in the application of electromyography (both clinical and kinesiological), musculoskeletal ultrasound imaging, and other methods to evaluate neuromuscular system.functioning. At the University of Ottawa, Dr. McLean is a member of the Office of the Vice-Provost, Graduate and Postdoctoral Studies and holds a cross-appointment in the School of Human Kinetics. McLean, L, Varette, K, Gentilcore-Saulnier, E*., Harvey, M, Baker, K., Sauerbrei, E. (2013) Pelvic floor muscle training in women with stress urinary incontinence causes hypertrophy of the urethral sphincters and reduces bladder neck mobility during coughing. Neurourology and Urodynamics. 32(8) 1096-1102 DOI: 10.1002/nau.22343 Pubmed ID 23861324.